Glorious weather has welcomed in the new year at Redleaf. We have been enjoying the swimming hole and barbequing by the creek. Pepper did indeed give birth to nine lovely babies six days after Ginger, so we have 19 piglets suckling and grazing about the place. The sows cant stand still for long without being attacked from below by hungry babes. 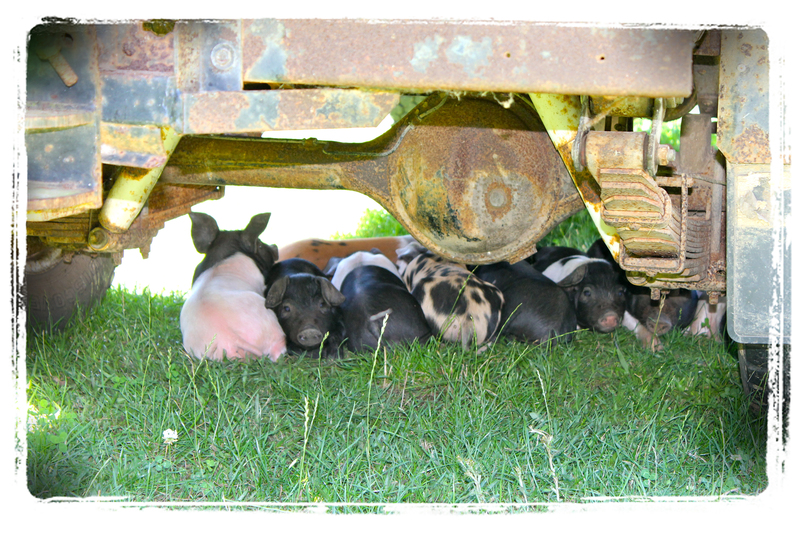 A favourite spot for shade is under the old rusty farm ute! They are growing fast – and will soon be on the menu at Biota in Bowral. This entry was posted in Uncategorized and tagged piglets by Redleaf Farm. Bookmark the permalink.